Before heading home, we wrapped up our very prolonged vacation with a trip to South Dakota. It was my man's very long desire to be there and witness one of the seven man made wonder of US, Mount Rushmore. A National memorial sculpture, carved out of granite and dazzled the World. We arrived South Dakota, Rapid city on 19th March, spent a very slow and relaxed week there since there weren't much to do because of the season. It was Spring, but weather was still snowy cold. 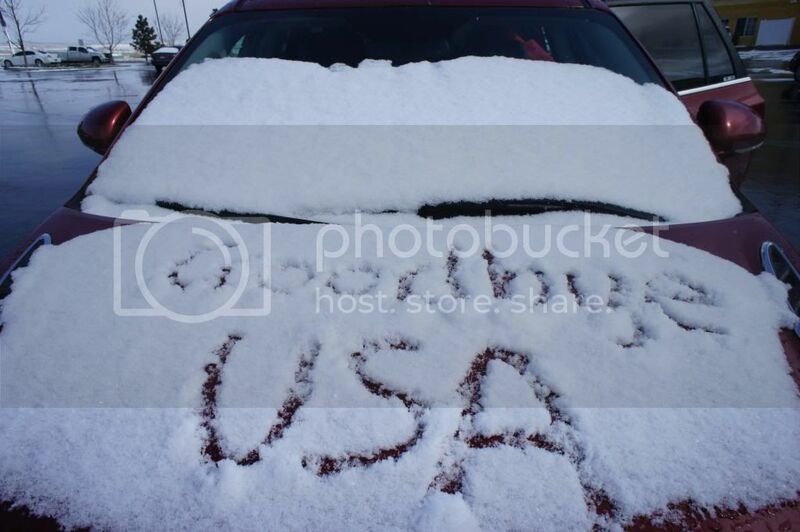 It snowed on some days, during our visit, which I thought it really made our farewell beautifully memorable. My mum was really excited to have her first experience of falling snow, in the years of her life. 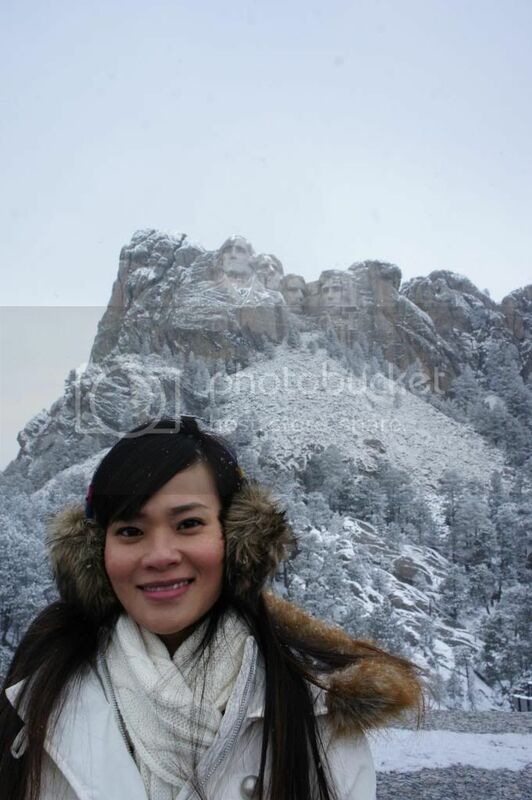 Mount Rushmore is an expression of endurance, patience and creativity that awed the people around the World. It took about 14 years to complete the sculpture of the chosen 4 historic presidents, George Washington, Thomas Jefferson, Abraham Lincoln and Theodore Roosevelt. All with significant contribution as America's forefathers. A great exemplification of a country's unison. This magnificent man made sculpture by Gutzon Borglum, wow-ed and impressed us totally! With the forefathers of America! Apart from visiting Mount Rushmore, we did the Wind Cave National Park, Journey Museum, and Devils Tower, where we parted sadly with our travel buddies, the Lee and Koh families. It was an almost teary goodbye. While they set off for the second part of the vacation, we flew back to Monterey, to prepare for our home going. Ain't sharing about the rest we visited as there are better places to visit if you go during summer. We had limited places of visit. But we had an invaluable experience during our drive to the Wind Cave National Park. We had a very close encounter with wild Bison. So close that it terrified us. While driving, there were Bison roaming and crossing our road path, causing our vehicle to reduce speed. 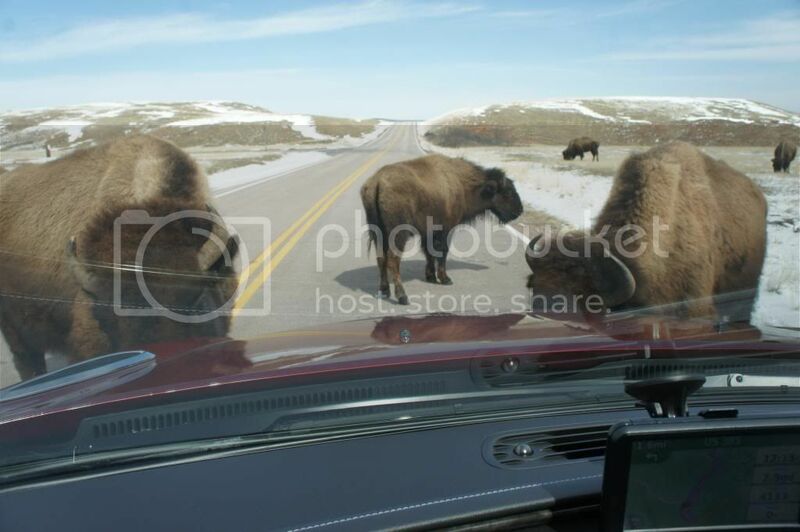 We attracted some Bison, and decided to completely stop and admire them a little from the inside of our car. As the number grew, we got threatened and tried sounding the honk gently and moved off slowly. Phew! They were of no threat, just some big curious wild beings. That up close encounter became the most exciting part of our trip! It was a nice wrap up to our seemingly never-ending vacation. Just some weeks ago, we were enjoying the beauty of snow and its coldness, and now, back home in Singapore, it really is hot and humid! It's been such a long time since we perspired this much, with hair and shirt drenched kids. Reality of coming back to origin is like waking up from a very long and detailed dream. I thought we just left home for the man's education, and now, we are back to where we were. It had been a good dream! Thankful for it. Easter egg hunt at home!